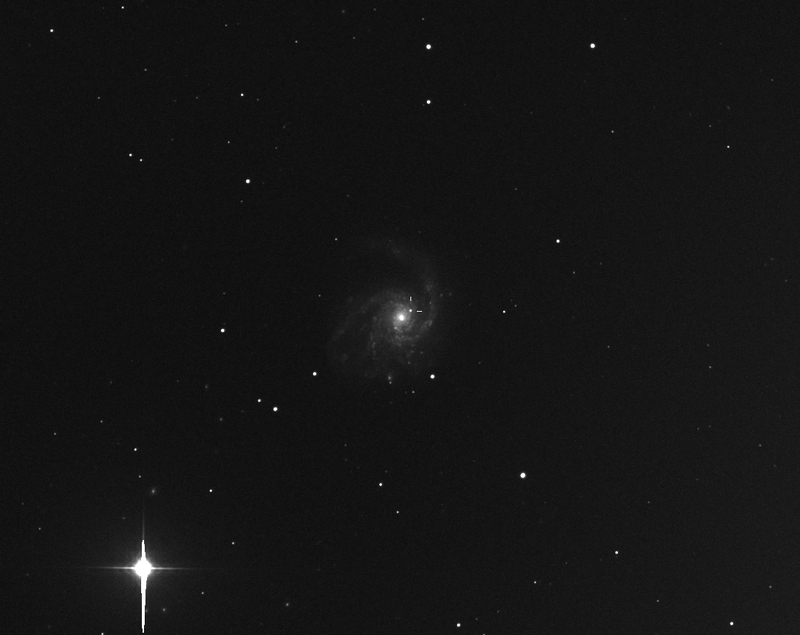 After about one month after its official discovery, it was time to look again supernova SN 2014L in Messier 99, the latter being a wonderful face-on spiral galaxy in Coma Berenices. The PlaneWave 17″ robotic unit took 4, 120 seconds exposures, later averaged, with the final result shown above. The supernova was found at mag. 15.4.